In this podcast, recorded at the "Education in the Digital Age" symposium hosted by OCPA, Patrick McGuigan and Peter J. Rudy discuss digital learning with state Rep. Jason Nelson (R-Oklahoma City) and Bill Price, chairman of the Oklahoma School Choice Coalition. "With declining membership, unilaterally negative press, and countless brewing legislative and legal battles, union leaders are struggling to win the messaging war." Schoolteachers want to "stop students from becoming this advanced." "'Public education' is not limited to what happens in government-owned buildings," writes Richard W. Garnett of South Bend, Indiana. It is, instead, "the education of the public, with public support," and it takes place every day in private, religious and publicly operated schools. Public education funds belong to all of us; they are for our children, not only our public employees. The education that private and parochial schools provide serves the public interest of the community (at a lower cost to taxpayers) and offers options and opportunities to thousands of Indiana children. It is unfair and unwise to exclude this public service from public support. The important idea of separation of church and state is about protecting religious freedom from government interference. It does not require discrimination against religious schools, and it does not mean that governments and religious institutions may not cooperate to provide valuable public goods, like health care, refugee services and, yes, education. It's hard to improve public education—that's clear. As Warren Buffett would say, if you're picking stocks, you wouldn't pick this one. "If a child with a tablet computer, assisted by a talented teacher, can access the knowledge base of the entire world," The Heartland Institute's Bruno Behrend asks, "why do we even need a superintendent class, or more importantly, the useless and expensive school district?" Education and health care are the two sectors on "the front lines in the battle for capitalism," Arnold Kling and Nick Schulz write in National Affairs. At stake is not only an ideological or theoretical point, but also American prosperity. The historical record makes this clear: In the nations where it was practiced, government control of the old commanding heights of the economy made those industries less efficient and less innovative—bringing overall economic performance down with them. Today, America risks following the same course. Looking to the coming decades, it will simply not be possible to maintain a genuine free market—or a thriving, innovative, growing economy—if our education and health sectors are controlled by the government. Champions of the market thus have their work cut out for them. Study? Who needs to study? Let's go to Disney World! "Despite pre-dating Oklahoma statehood," Senator Tom Coburn points out in a new report, "Riverside Indian School (RIS) in Anadarko, Oklahoma is one of only a handful of schools in the nation with an even more unusual distinction: it is run directly by the federal government." Taxpayers may wonder, then, why hundreds of thousands of dollars have been spent on video games, amusement parks, and recreation when the school is failing basic academic standards. Operated by the Bureau of Indian Education (BIE) at Department of the Interior, it is the agency's largest off-reservation boarding school with 540 students representing over 70 tribes. ... Unfortunately, Riverside Indian School has been plagued by low student performance. 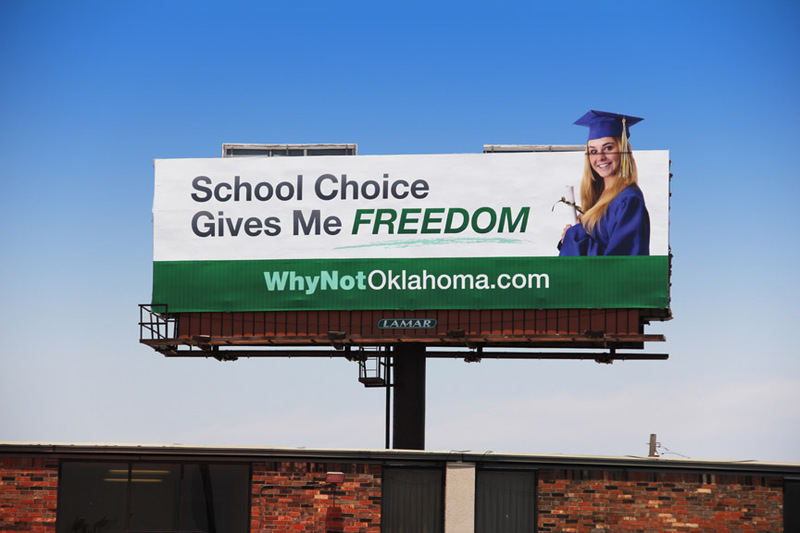 Its student dropout rate of 8.05 percent is nearly four times the Oklahoma average of 2.2 percent. The average Riverside composite score for the ACT, the primary college entrance exam administered to Oklahoma students, was 14.5 in 2010, well below the state average composite score of 20.7. $27,290 on a Positive Gaming iDance System. iDance markets its latest system as the "most advanced dance game ever." $30,000 for "movie theater services" and movie passes. $25,926 for an "incentive trip" to Disney World in Orlando, Florida for students who maintain at least a "C" average. $20,000 for cell phone service. $6,000 for a pilates/yoga instructor. $5,337 for a plasma television. $5,412 for mirrors for the high school gym. $10,000 for "bowling and restaurant service." Over $150,000 for sports apparel, including $9,950 for basketball shoes and $24,254 for NIKE basketball apparel. More than $28,000 for tickets to Six Flags and Frontier City amusement parks. $4,035 for lodging in San Antonio, Texas for "end of year incentive trip." $2,181 for "prom services" and prom screen printing. The Catholic Civil Rights League (Canada) has drafted a very impressive document called the "Declaration on the Authority of Parents and Guardians in the Education of their Children." State universities are actually quite profitable, OSU professor Vance Fried said this week at a Cato Institute forum. Albeit grouchily, Andrew J. Coulson points out. Chicago's new mayor, Rahm Emanuel, has followed in the footsteps of President Obama and Education Secretary Arne Duncan, choosing to send his kids to the elite private UC Lab School. It's a very good school by all accounts, so it's probably an excellent choice. So why did Rahm get so grouchy when asked about it? I think it might have something to do with the obvious hypocrisy of cherishing and exercising educational choice for one's own kids while advocating a one-size fits-few state monopoly school system that makes private schooling unaffordable to the majority of your fellow citizens. Just a thought. "No matter how painful the reality," Andrew Spiropoulos writes today in The Journal Record, "we must constantly remind ourselves that our system has failed and continues to fail our children." Only 28 percent of our fourth-graders achieved a “proficient” score in reading. Only 33 percent of our fourth-graders achieved a “proficient” score in math. Only 26 percent of our eighth-graders achieved a “proficient” score in reading. Only 24 percent of our eighth-graders achieved a “proficient” score in math. "Children with autism and patients who need rehabilitation will find help in a new multimillion-dollar Mercy Health Center school and hospital," Sonya Colberg reports in The Oklahoman. "The state's first school for autistic children, The Good Shepherd Catholic School at Mercy, initially will provide special services for 20 children when it opens Aug. 22 on the hospital campus." The autism school idea became a hot topic among the [University of Central Oklahoma], Mercy and the Archdiocese of Oklahoma City. Now, the university is providing staffing; Mercy is providing the building; and the archdiocese is providing the school accreditation so parents of autistic children can take advantage of a state law that allows special needs children to attend an accredited private school through a state-funded scholarship. "Online learning means fewer teachers (and union members) per student," Terry Moe points out in The Wall Street Journal. And Greg Forster reminds the techno-innovators that "only school choice can prevent the blob from neutralizing any reform you throw at it." On July 29 at the Oklahoma History Center, OCPA is hosting a symposium called Education in the Digital Age: Practices and Policies for Personalized Education. Click here for more information. "Few people realize that a typical public school, in Oklahoma or anywhere in the nation, spends roughly 80 percent of its budget on labor costs," says the Education Action Group, which recently analyzed collective bargaining agreements from six prominent Oklahoma school districts. "Many of those costs originate in union collective bargaining agreements." 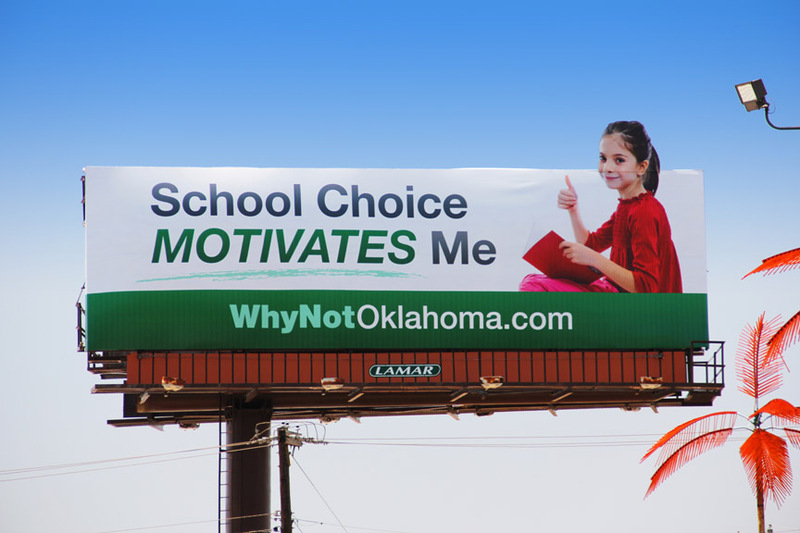 We believe the taxpayers of Oklahoma will be surprised to learn how much their local school districts spend on labor, and how much money could be saved through union concessions or changes in state law. ... If any sacrifices are necessary, they should be made by the adults who staff the schools, not the students. Do schools have enough money? Mike Brake has some numbers here. Is the gay agenda coming to Oklahoma textbooks? Another sexual indoctrination law, and its effect on textbook adoption in the 50 states, "further fuels a growing national discontent with public education," Kevin Ryan writes. President Obama said yesterday he "wouldn't be president if someone hadn't helped provide some scholarships for my school" as a 10-year-old. Over at the TIME website we read that at least 178 teachers and principals "have been implicated in what is likely the largest cheating scandal in U.S. history to date." There are some other interesting observations over at Freakonomics. The billboards are up and the radio ads are running. Be sure to visit the website and sign up! I'm not sure this brief report tells the whole story, and I don't think Team Barresi is the bad guy here, but I'm glad NEWS9 is bringing attention to the matter. I suspect what's going on is that Deer Creek doesn't want to grant an IEP and run the risk of losing a precious little revenue unit. 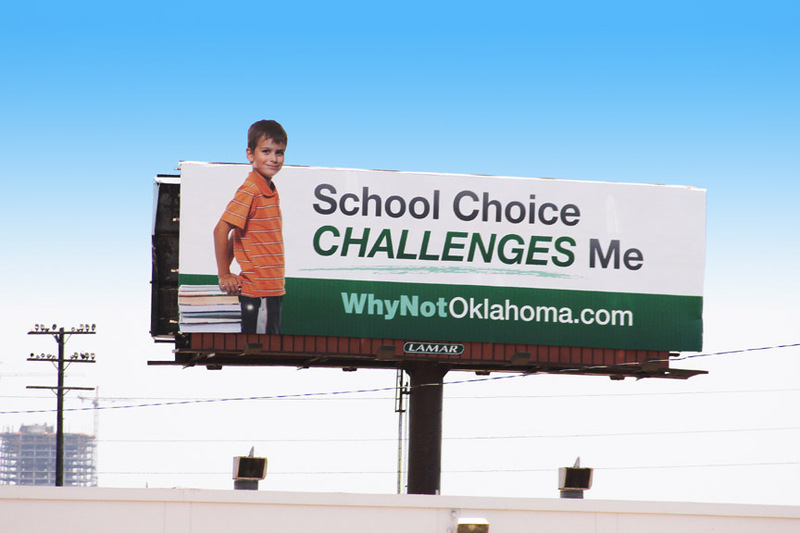 "School may be out for the summer," says The Wall Street Journal, "but school choice is in." The president of the National Education Association informs us "our country is not for sale to the highest political donor." Mitch Pearlstein is the founder and president of the Center of the American Experiment, a conservative think tank in Minnesota. In an excellent (and sobering) article in the current issue of The Weekly Standard, Pearlstein argues that broken families are the real obstacle to economic growth. What, then, is the conservative remedy for all of this? Free-market principles, of course, are sound and fitting whenever economic hurdles are to be jumped. And a cultural and religious revival would be welcome, if hard to summon up. But what else might reverse the family bleeding? Here is just one idea. Under normal circumstances, boys grow up and marry the women who become the mothers of their children. If, however, they reach adulthood unable to hold a job, stay sober, or keep out of jail, they quickly find that desirable women have little interest in hitching themselves to them. In communities where marriage is vanishing, it cannot be revived unless millions of boys (and girls) get their lives in decent order. Aimless or felonious men are not the only reason for the decline of marriage, but they are a sizable one. Many of these young men grew up without their fathers and suffered what some call "father wounds." Would it not make sense for such boys to attend schools properly described as "paternalistic"? These would be tough-loving places, like the celebrated (but still too few) KIPP Academies, with their Knowledge Is Power Program. Would it not also make sense to allow many more boys and girls to attend religious and other private schools, which have their "biggest impact," according to Harvard’s Paul Peterson, by keeping minority kids in "an educational environment that sustains them through graduation"? That idea of "sustenance" deserves pondering. Minor wounds usually heal fast. Deep ones take longer. Children scarred by father wounds and other family absences and disruptions, very much including missing mothers, need sustenance of the most personal and vital kind. Such sustenance can be provided by some kinds of schools. I once asked a nun, the principal of a Catholic elementary school, what her school's mission was. As best I remember, her words were, "To manifest God's love to every child." As educational mission statements go, this is one of the briefest yet meatiest ever devised. Schools with this purpose might powerfully nourish the boys and girls​—​fathers and mothers in training​—​who are most in need of food.